New piece for Jamestown covering the proscription of the Shabaab in the UK and Canada. I am working on a much larger piece about this topic, but it is likely to be a while before that lands. Any tips in the meantime of course appreciated. Another journal article, this time based on an old presentation I had the pleasure of doing up at Leeds University as part of a series organized by John Schwartzmantel and Hendrik Kraetzschmar. The paper is a bit dated now to those who follow these topics closely, but I hope it lays out some thinking that is useful. Britain’s ‘Contest’ counter-terrorism strategy with its ‘4 Ps’ codification is often held up as a paradigm of an effective liberal democratic counter-terror strategy. However, while the strategy has had some success and been widely emulated internationally, questions remain about the ‘generational’ aspect frequently referred to by government and what kind of an impact such a wide-ranging approach might be having in the long-term upon the United Kingdom. This article seeks to explore the ‘why’ and ‘how’ of the British counter-terrorism strategy while probing some of the areas which may offer themselves as problematic in the longer term. 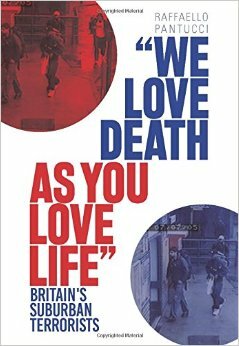 In particular the author explores the ‘Prevent’ part of the strategy which seeks to prevent radicalization leading to terrorism from ever taking place, asking questions about how defined the strategy appears to be and how much the UK might in fact be setting itself up to counter a war without end. I have a book review in the latest issue of the Terrorism and Political Violence journal covering Stephen Grey’s fascinating and detailed book Ghost Plane. It is behind a firewall so I cannot simply post it, but as usual if you get in touch I can help out getting a copy probably.. The book is worth a read, and has stood the test of time thus far. It will be interesting to see if someone does an update of this story confirming whether it has been discontinued or is still going on. Any pointers for stories out there greatly appreciated!